As I stare at my plant that my step-dad have given me to “always remember him by,” I start to think this plant symbolizes so many things to me but most important is growth. It seems that so many of us are just content where we are in life, with a certain amount of kids, with a certain job and forget to do something that challenges them and helps them grow. I have grown so much in my 25 years of existence and would like to share a few examples with you. Faith- I used to know a God existed, but I was like many others and just prayed when I wanted a good test grade, or prayed when I wanted something my mother said no to, but I didn’t truly understand meaning of faith until I met Shane. I was just 16 when we started dating and the more I wanted to go visit him at his home town (which I currently live in now), I was so in awe of the fact that no matter what we had on our agenda for Sunday, Church in the morning was always the most important thing. After five years of dating and being engaged, we decided to move in together as I was attending nursing school just 40 minutes from where he lived. It wasn’t until then that my rare Sunday visits were becoming more frequent and his Church welcomed me with open arms and I truly felt at home. When I chose to give myself to God and get Baptized it was the most amazing and fulfilling thing I have ever done, it was exactly 3 years ago to the day and I have grown so much in faith and spirituality and so much closer to God since then. It truly is amazing to have such a close relationship with Him and know that he is always just a prayer away! Marriage- To this day, Shane and I look at each other (as we celebrate being together 9 years next week), and just amazed that so much has happened between our marriage, all the ups and the downs and how much closer we have grown closer and still finding things all the time that we don’t know about each other! I think once you choose to have children, it really does change everything–for the better. I think since becoming parents we have grown so much in faith, honor, trust and dignity. It truly does take an army to raise children, but having Shane by my side just makes everything better, and easier! I cannot wait to see what the future holds for us and our family. Family- This is amazing because even though I always just figured once we all grew up, we would still get together every holiday, I really didn’t know how much work it takes to stay in touch with all of my family who live in ALL different places. I remember someone saying to me, “if it really is important you will make time for it”, well this is completely true when it comes to my family. I am getting better at it, and have to come to terms that if I want to get everyone together I am the one who has to set it all up and make it happen. Even though it is so frustrating trying to coordinate everyone’s work schedule, it is amazing when it works out perfectly and everyone gets to spend a few hours together in person- which is way better then on the phone or the internet. I am learning more and more each year on what works best for everyone! Friendships- It’s funny because when I was in High School I could tell you who were my best friends and pretty much everything about each one of them. Well when you graduate and go to college, friendships fade, especially the ones who move away to go a different city it just makes it that much more difficult. As an adult, I completely value friendship differently-much more meaningful and deeper then ever before. I only have a small circle of best friends and I am completely ok with that. I know that these girls will have my back through thick and thin and I have grown to have such a better understanding of what it takes to be a good friend, my best friends are an amazing select few and I cannot wait to see them grow not only as individuals but grow with their families! Career- I have pretty done everything in the nursing home on the floor that I can do, and by all means I love that I started from the bottom. I went from a CNA, Med-Aide, LVN, to an RN. It was the best 3 year journey I could have ever asked for and I love being the weekend RN charge nurse/treatment nurse at the nursing home. And I just got a call the other day from my boss, saying that she is sending me to some additional training for some great opportunities coming up which I can’t wait for. I can’t wait to grow in my career both mentally and physically. There is so much to learn! 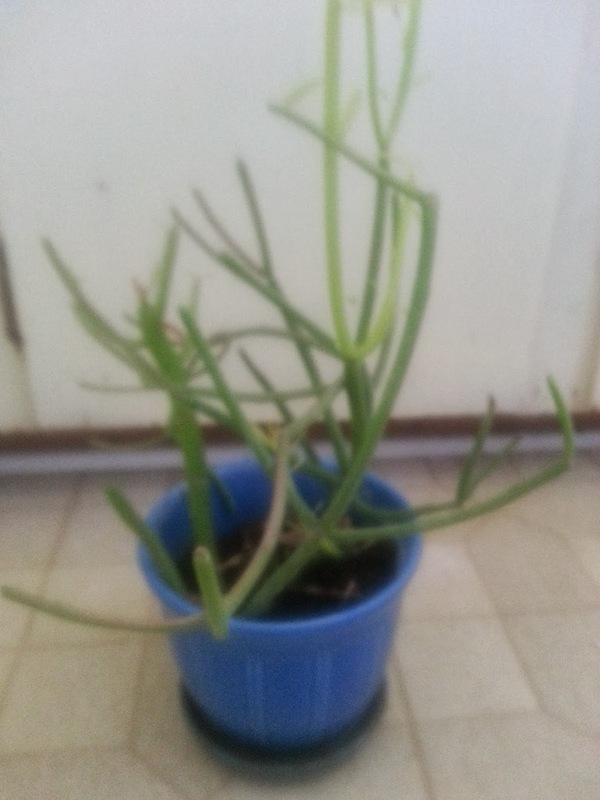 This is the plant David got me, so amazing to see it just keep growing!